Indyra Originals is a Second Life Fashion Label that came quite a way. Over the years I have gladly been retourning to its store from time to time and picked up a little something. I thought forever if I really needed this dress – I don’t but I had to have it anyway! Visiting the Greenies in Second Life! Taking some time off SL is a wonderful thing to do – especially since exploring can be so much more afterwards. 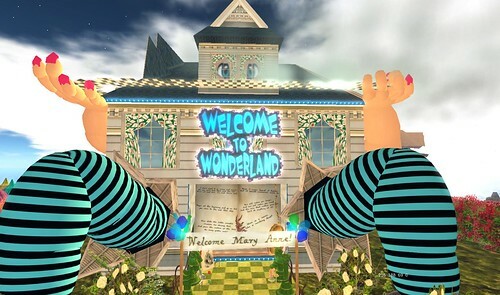 Have you ever visited the Greenies in Second Life? If not – you definetly should! The Greenies are little green aliens that invaded a huge, giant house! 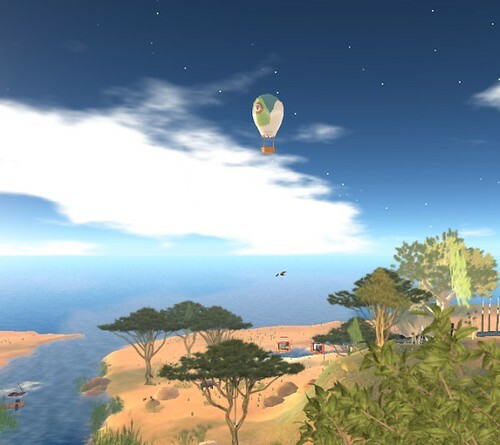 Have you ever wondered what to do in Second Life? Well, why don’t just try taking an original Ballon Tour and making it an unforgettable memory for yourself? Allright, I can now officially claim to have been to hell and back. 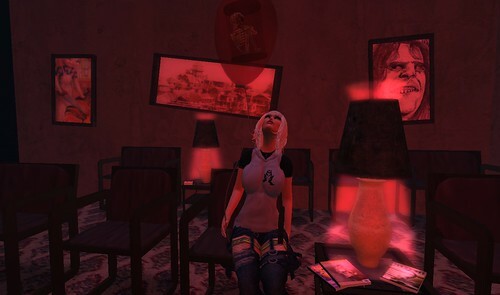 Wanna see a strange place in Second Life? Try the Carnival of Doom. Put on the HUD provided in the entrance area and go for some rides.